What happens when you combine "Goodfellas" with college basketball? You get "Playing For The Mob," the story of how mobster Henry Hill -- played by Ray Liotta in the 1990 Martin Scorsese classic -- helped orchestrate the fixing of Boston College basketball games in the 1978-79 season. The details of that point-shaving scandal are revealed for the first time on film through the testimony of the players, the federal investigators and the actual fixers, including Hill, who died shortly after he was interviewed. "Playing For The Mob" may be set in the seemingly golden world of college basketball, but like "Goodfellas," this is a tale of greed, betrayal and reckoning. Ultimately, they both share the same message: With that much money at stake, you can't trust anybody. Some things just don't add up. For me, that was the case with a guy named Jim Sweeney. Like Jim, I grew up in Trenton, New Jersey; and even though we hadn't met it was hard not to be aware of him due to the amount of press he got in the local sports pages. But it wasn't just his extraordinary talent on the field that set him apart. It was also his character. He had good grades, attended an exclusive prep school, was well mannered and the product of hard working blue-collar parents that earned him the fitting nickname "Gentleman Jim." Every CYO mom wanted her son to be like Jim Sweeney. So you can imagine my surprise when I opened up my copy of Sports Illustrated in February 1981 and read the cover story about a point-shaving scandal at Boston College that placed Sweeney smack in the middle. From everything I knew about him, Jim Sweeney was the least likely person to get caught up in something like this. Flash forward nine years. It's 1990 and the movie, "Goodfellas" comes out. The movie was centered on the notorious mobster-turned-rat, Henry Hill. It told about Hill's criminal life and also about members of his "crew" who were involved in the Lufthansa cargo heist at JFK airport, which at the time was the biggest cash robbery in U.S. history. I practically fell off my chair when I learned that the "Goodfellas" Henry Hill was the same guy I had read about in Sports Illustrated and that he was behind the BC point-shaving scandal. Were Hill and Sweeney in on this point-shaving thing together? Could big-time mobsters be involved too? It seemed incomprehensible. As a documentary filmmaker, I'm lucky. I can make a movie and satisfy my own curiosity at the same time, which is what I set out to do. I had to find out more about Hill and Sweeney and the BC fix. The only problem was getting someone to finance it. I had spent 17 years at HBO and pitched the idea probably in 15 of those years. For one reason or another, the idea lost momentum and went nowhere. Then one day, out of the blue, Cayman Grant, a director from Los Angeles whom I had never met, contacted me with a similar film idea. On her own, Cayman had interviewed Hill and a couple of other guys involved in the fix. I then got in touch with Sweeney and he agreed to tell me his version of the story. Cayman and I decided to join forces. We approached ESPN with the idea of documenting the story. ESPN showed immediate interest and the result of that meeting is the film, "Playing for the Mob." I may not have gotten the answer to all of my questions, but one thing was for sure, there was a lot more to the story than I had ever imagined. 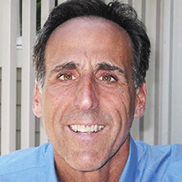 Joe Lavine is an eight-time Emmy award- and two-time Peabody award-winning documentary producer and director. Lavine's career in sports television began more than 30 years ago while a student at the University of Maryland. Working as a runner at a Yankees/Red Sox game, he had the privilege of being paid for sitting in a major league dugout. That Yankees coach Yogi Berra emptied a full cheek's worth of tobacco onto Lavine's shoe did nothing to dissuade him. He decided television production was the perfect career for him. From runner to TV producer, he spent 13 years as a producer with Major League Baseball Productions before moving on to HBO Sports. There, he produced and directed a host of critically acclaimed documentaries -- later taking on more responsibility as senior documentary producer and vice president. His films have examined some of the most iconic personalities in sports-Muhammad Ali, Howard Cosell, Joe Louis, Joe DiMaggio, Vince Lombardi and Joe Namath. Other films took on complex issues that intersect sports and society. "Breaking the Huddle" traces the integration of college football in the South. "Ali-Frazier I" looks at two very different sides of American politics. "Nine Innings from Ground Zero" considers the traumatic aftermath of 9/11 through the baseball World Series that followed. In that film, as in many others, in addition to athletes, interview subjects included entertainers, politicians, social scientists and even American presidents. In addition to his documentary work, Joe has produced features for "Real Sports with Bryant Gumbel." Lavine is the founder of Trenton Makes Productions. A native of Trenton, New Jersey, he lives in the state with his family. 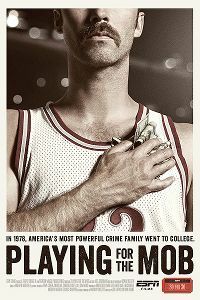 "Playing for the Mob" is his first film for ESPN Films "30 for 30" series.